My affection for neutrals is no secret at this point, so would it surprise you that I picked up yet another pair of pumps in a classic shade like camel? This pointed pair is a new fall favorite. It also comes in a round-toe style! The color is rich, the style is sophisticated, and more importantly, they’re comfortable. I’ve been picking up more caramel and cognac hues this season, so these fit right in! Since I’m pretty much covered in the pumps department and I’ve now got plenty of black boots for the season, the only thing left would be to add a more soft neutral boot to my arsenal for those winter-to-spring transitional months. A few I’m eyeing right now include this low-heeled option, this taupe knee-high pair or these sleek ankle boots. I love the gold detailing on the first and last pairs! This look is stunning, loving all the camel. I adore these pumps. 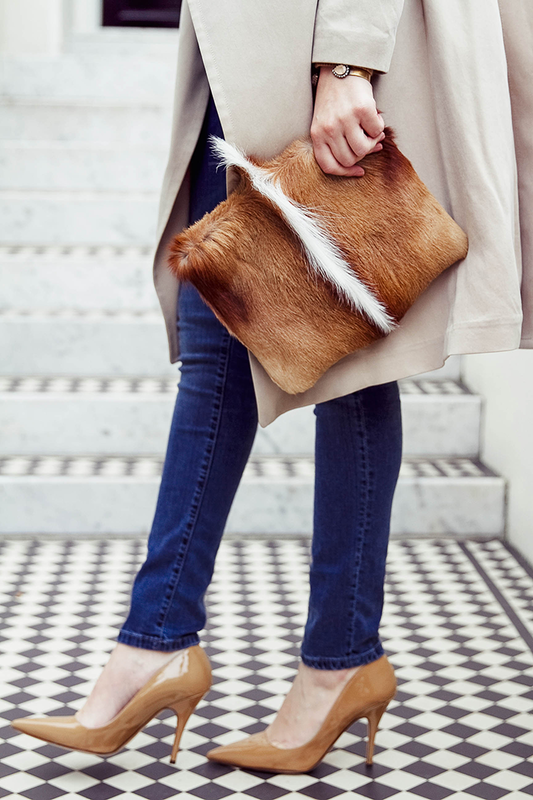 That bag is so gorgeous & I agree that neutral pointed pumps are a closet essential! You look beautiful! Neutrals work so well on you! Great look! Really loving your bag. Classic with an edge! Love, love, love that clutch! And this neutral look is so effortlessly chic and timeless! That coat is fabulous! And it looks light enough for fall. Seriously in love with that bag!! You do neutrals so well! I’m digging these camel shades here! Uh I need this coat stat! Beautiful Fall outfit. Love the camel! 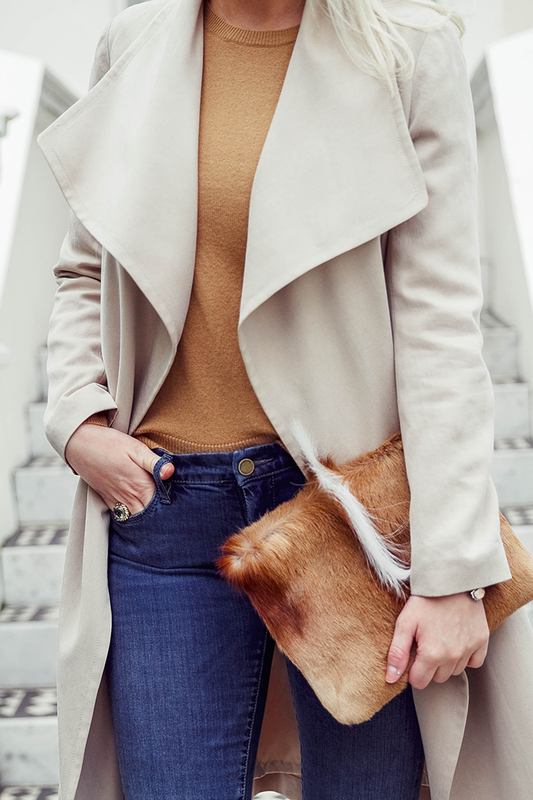 Love the classic camel look! That clutch is gorgeous! LOVE the all neutral look. Those Kate Spade pumps are gorgeous! Your bag is simply darling! I absolutely love everything about this outfit. Is that the Club Monaco ‘soft trench’? I’ve been tempted to buy it and now I think I’m convinced!